Mobile shopping is expected to increase by more than 10 percent this holiday season, according to Deloitte—and where better than social media to grab smartphone-savvy consumers’ attention. Follow these six steps to ensure your limited-edition deals make a social media splash this Black Friday and Cyber Monday. While planning your social media strategy, it’s always good to start with your profiles. Coordinate your social media accounts to ensure all profile pictures, banners, bios, descriptions and links are updated to advertise your Cyber Monday and Black Friday promotions. Cover photos are the first thing people notice on your social media profiles. Create a custom one for each of your profiles to promote your sale. Update your bio or call-to-action button to include a direct link to your dedicated Black Friday or Cyber Monday landing page. Pin a tweet or Facebook post announcing the best deal at the top of your timeline. Most shoppers have a natural sense of urgency during Black Friday and Cyber Monday, but that doesn’t mean you can’t inject some FOMO (fear of missing out) into your social media campaigns. A simple yet effective way to create a sense of urgency in marketing is to sprinkle time- or scarcity-related words throughout your social media content. Words like “today” or “now” trigger people to think something is in limited supply and urge consumers to take immediate action. PRO TIP: Don’t overdo it. Shoppers can quickly become immune to a stream of so-called limited-time offers. Moderation is the key to success here. Test a few calls-to-action and see what works for you instead of bombarding your audience with constant sales pitches. Picking gifts for friends and family is always challenging. You can make it easier for your customers by creating a series of gift guides aimed at different segments of your target audience. Publish these guides on your own blog, or as guest posts on a site with a similar target market, and promote them using paid Facebook ads that reach specific audience segments. Do some hashtag research before you plan your social media campaign. This will help you understand the mood and interest of your target audience, and you can plan your social media posts accordingly. While major Black Friday and Cyber Monday have some obvious hashtags (#cybermonday, #cybermondaysales, #blackfridaydeals, etc. ), it’s worth finding out what other trending hashtags you can use in your posts. For instance, searches for #giftsforher, #giftsforhim and #christmasgifts rise significantly during the holiday sales season. Choose hashtags that are relevant to your Black Friday and Cyber Monday deals and use them in every social media post promoting your sales. Humans are inherently emotional beings. They like to feel and, when they do, they also like to share the feelings with their family and friends on social media. A study of 1.6 million organic posts on Twitter, Facebook and Google+ conducted by social media optimization platform SocialFlow found that 99 percent of posts received little to no engagement. The content that does go viral makes people feel something. 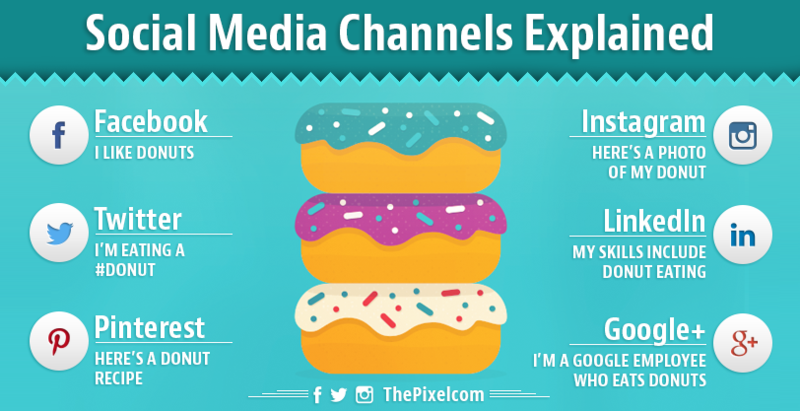 Embed these emotions in the content of your social media posts to get attention. Get it right and your post may just go viral. In the fast-paced world of social media, timing is everything. A well-timed post can be the difference between creating social media magic and a marketing ploy that falls on deaf ears. When you are preparing a Black Friday or Cyber Monday campaign, it’s always good to start early, plan your campaign, and create and schedule your social media posts well in advance. There are many tools for social media scheduling tool out there, including Hootsuite and Buffer. If you are selling on e-commerce platforms like eBay, Shopify, WooCommerce or Etsy, you can use a tool like Around.io which helps you create posts directly from your product listings. When all your content is created at once, your design and messaging will be consistent. You can schedule your posts at times that best reach your target audience. You can focus your time and effort on selling during your busiest months. Regularly assess how your social media content is resonating with customers. Make sure to reschedule posts that are getting a lot of engagement. Lastly, don’t forget that while discounts and deals are a big part of Black Friday and Cyber Monday, shoppers still value the overall customer experience—and your social media presence is an important part of that.